The fifth prosecution witness for the Economic and Financial Crimes Commission, Mr. Omale Ujah, on Friday narrated to a Lagos State High Court in Ikeja how he was instructed sometime in 2014 to pay N12m into the account of a company, Nigel and Colive limited, belonging to Justice Rita Ofili-Ajumogobia. Ujah, an Assistant Controller of Customs, said this while testifying against Justice Ofili-Ajumogobia, a serving Federal High Court judge, who is being tried for alleged bribery and unlawful enrichment. Led in evidence by the prosecutor, Mr. Rotimi Oyedepo, Ujah, told the court that the N12m payment was at the instruction of one Musa Tahir, who was the Deputy Controller-General of Customs. ‎ “In the course of my duty in 2014, the Deputy Controller-General that I was working with, Musa Tahir, came down from the office of the Controller-General of Customs and gave me the account number of Nigel and Colive limited, ‎saying that the CGC said we should liase with 12 commands and they should pay N1m each to my account and I should transfer the whole sum to Nigel and Colive Limited. “And that instruction was carried out,” Ujah said. He added that he paid the money in three trenches of N4m, N3m and N5m, adding, however, that he was not aware of any services rendered by Nigel and Colive Limited to the Nigeria Customs Service. 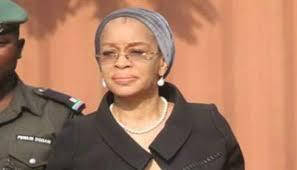 Under cross-examination by Ofili-Ajumogobia’s counsel, Chief Robert Clark (SAN), Ujah said in the Customs, officers were meant to obey the last order and were not trained to ask questions, so he could not ask what the money was meant for. Justice Ofili-Ajumogobia is standing trial alongside a Senior Advocate of Nigeria, Chief Godwin Obla, who was accused of bribing her with N5m. Also on Friday, the anti-graft agency called on its sixth witness, Mr. Robinson Emafidon, the Head of Regulatory Liason in the United Bank of Africa. Emafidon told the court that his bank got a letter from the EFCC asking them to provide the statement of account of Obla. “Sometimes in November, 2016,we received a letter from the EFCC asking us to provide them the account opening documents and statement of account regarding the subject customer. “In line with my duties, I got copies of those documents from the archive and printed the account statement which were entries made as transactions of account. “I certified them as true copy with a certificate and I forwarded them with a letter to the EFCC,” Emafidon said. Emafidon confirmed to the court from the statement of account that the sum of N5m was paid to Nigel and Colive Limited. Under cross-examination by Clark, Emafidon said he did not know if the transfer was in respect of any criminal case. He stated further under cross-examination by Obla’s lawyer, Mr. Ferdinard Orbih (SAN), that he was not personally involved in the inflow and outflow of the transaction. Earlier at the resumed proceedings on Friday, Clark informed the presiding judge, Justice Hakeem Oshodi, that he wanted to withdraw the application before the court challenging the jurisdiction of the court and Justice Oshodi Consequently struck out the application.